Get the Key to Finding New Customers ... for FREE! At InfoUSA, you can quickly target the perfect list of prospects using a wide variety of demographic, firmographic, and geographic selections. 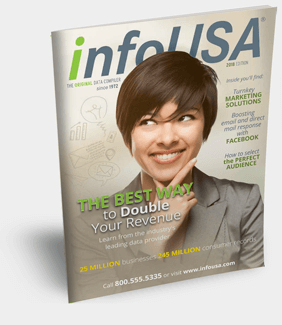 Request your free catalog today to discover all the ways InfoUSA can help you grow your business. ©@@currentyear InfoUSA.com Inc. All rights reserved.